Since Neurofeedback is used to enhance overall brain function. There is potential to improve work or school performance, learning ability, self-esteem and overall social behavior by affecting arousal, attentional processes, mood and overall functional regulation. Call now to find out how Neurofeedback can help you and your loved ones. 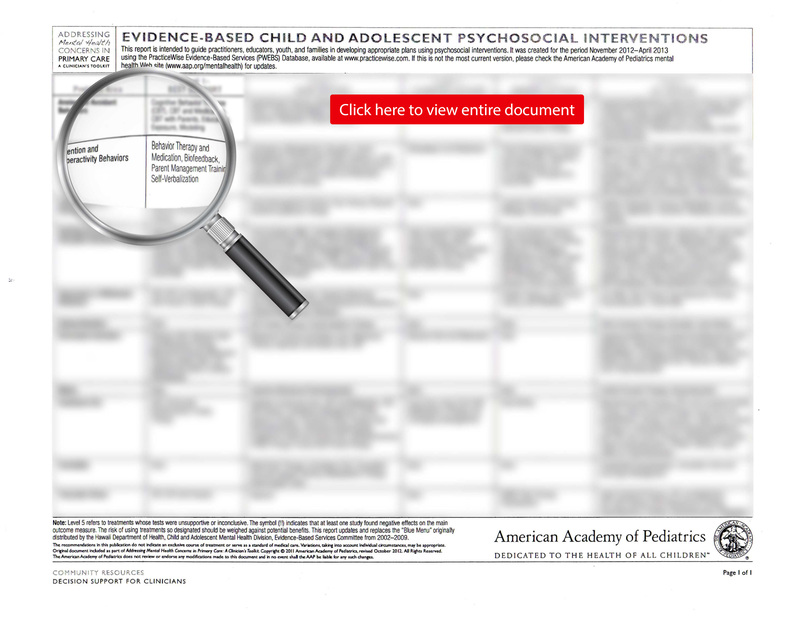 The American Academy of Pediatrics has identified Neurofeedback (Biofeedback) as Level 1 best support EVIDENCE-BASED CHILD AND ADOLESCENT PSYCHOSOCIAL INTERVENTION for Attention and Hyperactivity behaviors.